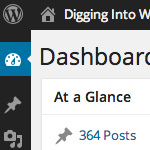 There are many ways to customize the WordPress Dashboard. Over the years, the Dashboard has evolved into a highly flexible information portal, enabling an overall, big-picture view of the main components of your site, while also providing granular data on everything from recent comments and plugin updates to incoming links and WordPress news. 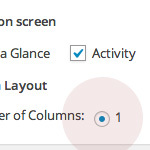 And that’s just the default functionality, there are also a ton of dashboard widgets and plugins available in the WordPress Plugin Directory that you can use to transform your Dashboard into just about anything, or even disable it completely.